This Thursday, we’re bringing the weekend to you early with M&M’s® and OSN. Request a ride on ‘M&M’s’ and get picked up in an Uber filled with your favorite chocolates and access the hottest new movies and shows. 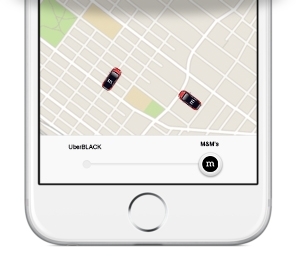 Simply select the ‘M&M’s’ option in your app on November 24th from 10am – 8pm and enjoy the ride for #free. Remember, demand will be high, and supply is limited. Want more? Don’t forget that you can score a free 24hr pass to OSN when you purchase pack of M&M’s®!